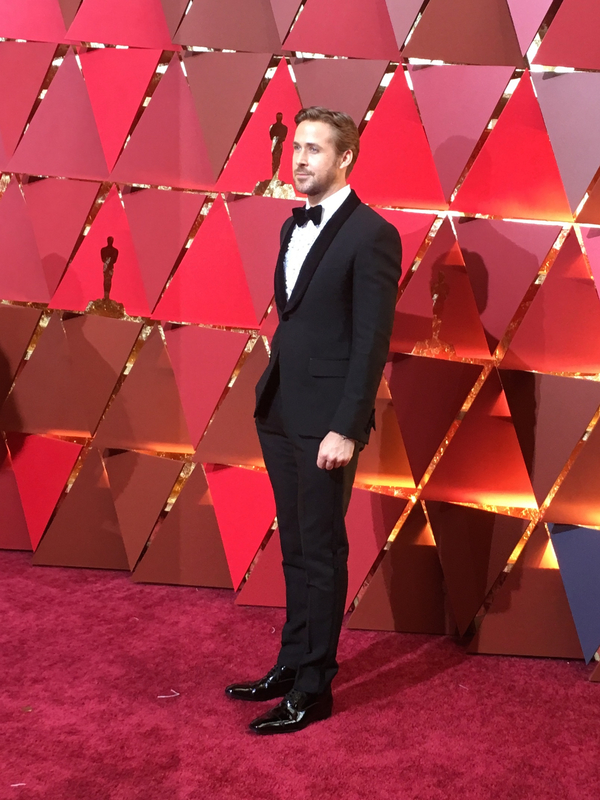 IndieWire was hanging on the red carpet as a stream of Oscar nominees head into the big show. 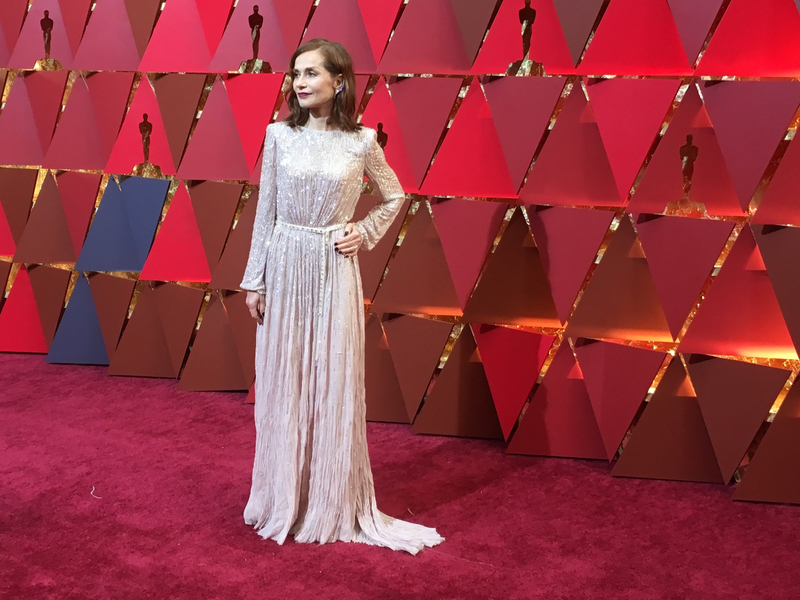 Best Actress nominee Isabelle Huppert, fresh from winning a Cesar in Paris and an Indie Spirit in Santa Monica, wisely covered up. 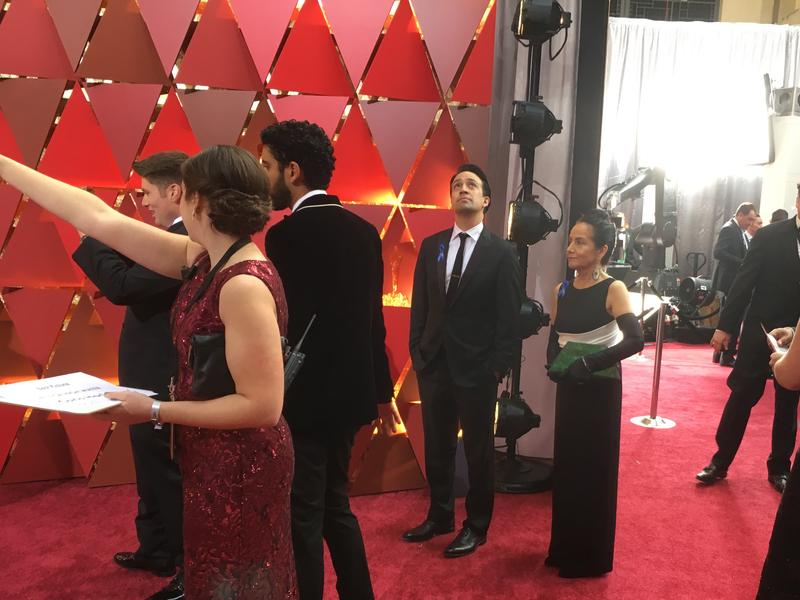 Many nominees brought their parents, from composer Lin-Manuel Miranda (“Moana”) to Dev Patel (“Lion”). 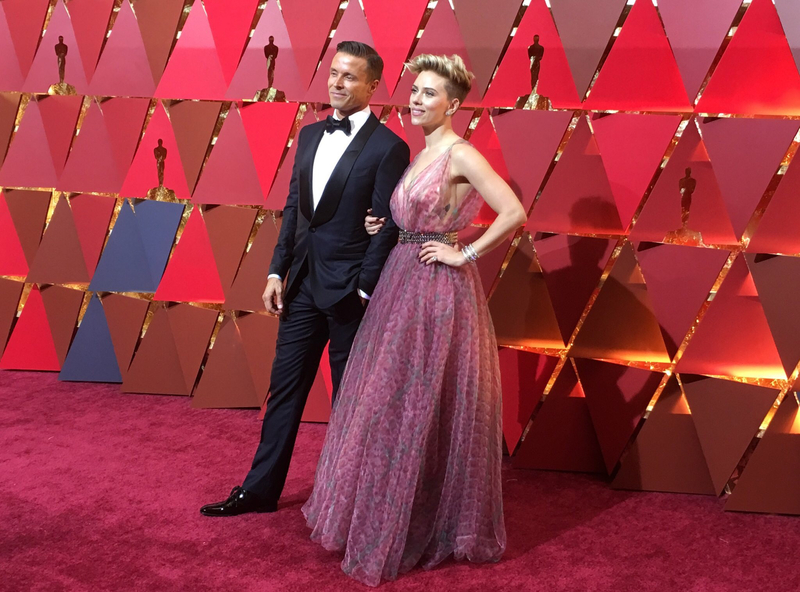 “Lion” star Nicole Kidman brought her husband Keith Urban. “You’re the lioness that roared,” Daily Mail correspondent Baz Bamigboye told her. “I’m a kitten,” she demurred. “I’m not sure about that,” replied Urban. 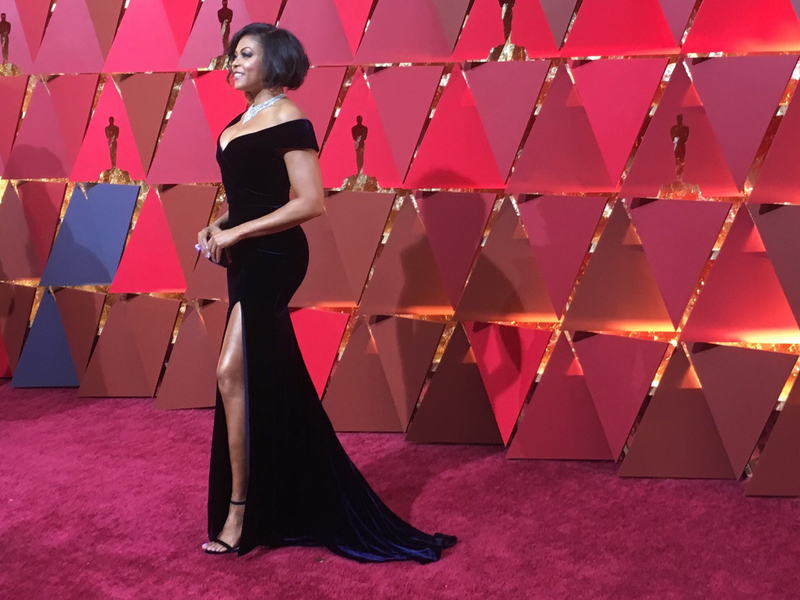 On the carpet, you can see that Scarlett Johansson has a peekaboo tattoo under her arm, and that Taraji P. Henson had coated her long legs to shimmer with gold. “You’re not a hidden figure!” chortled an admiring Bamigboye. 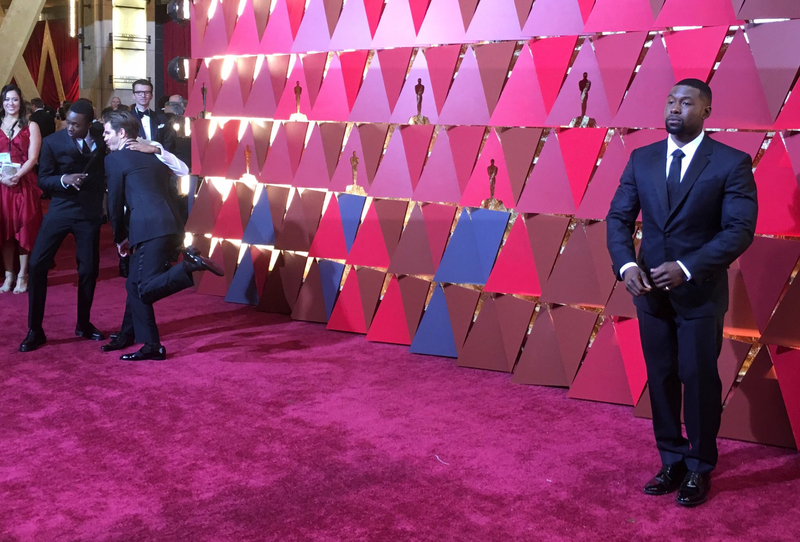 “Hacksaw Ridge” star Andrew Garfield kicked up his heels with the “Moonlight” kids. “Nothing will ever be as hard as ‘Room,'” she told me at Friday’s Women In Film party. 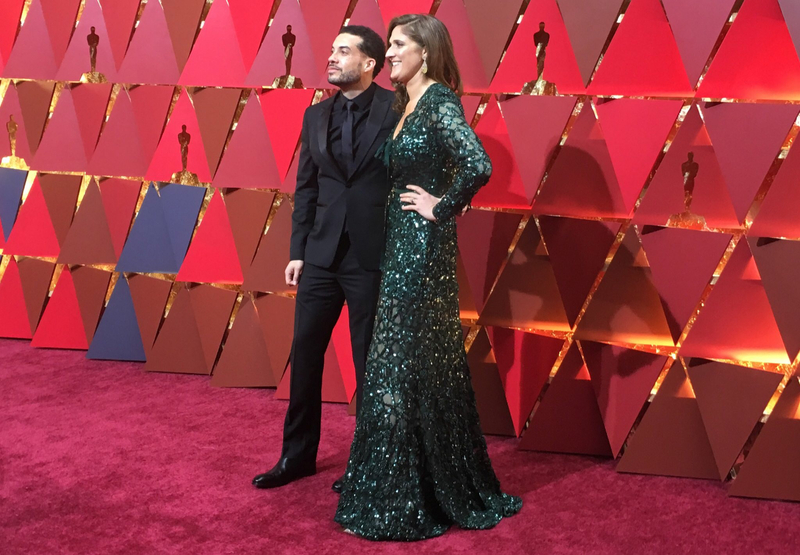 Ezra Edelman has been on an awards roll for his seven-hour-plus “O.J. 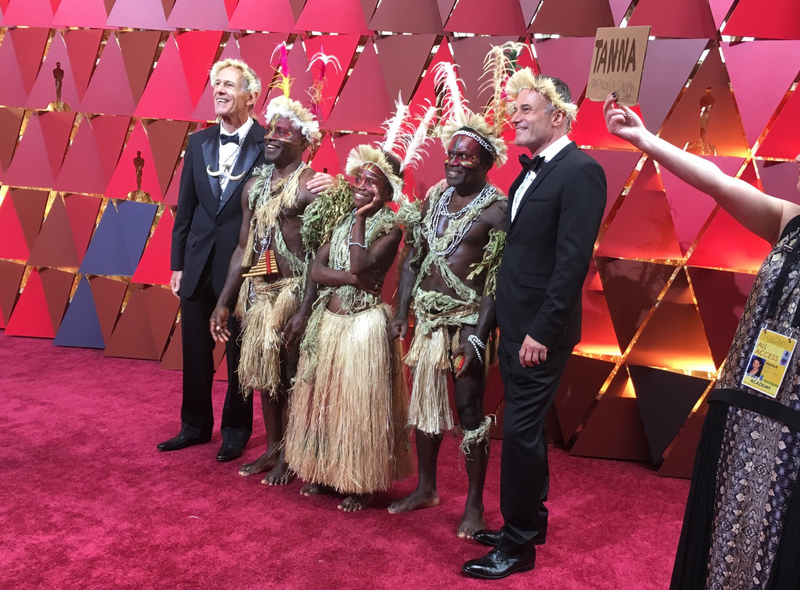 : Made in America,” which went on to win the Oscar as well for Best Documentary. The documentary short “White Helmets” team, including director Orlando von Einseidel and producer Joanna Natasegara, are upset that their Syrian cinematographer Khaleed Khateeb was stopped before boarding his plane; according to AP, the White House said his visa was blocked by U.S. Homeland Security White House sources. The Syrian defense team have lost their homes and had to leave Aleppo, said the filmmakers, as the government continues to discredit their work saving lives. 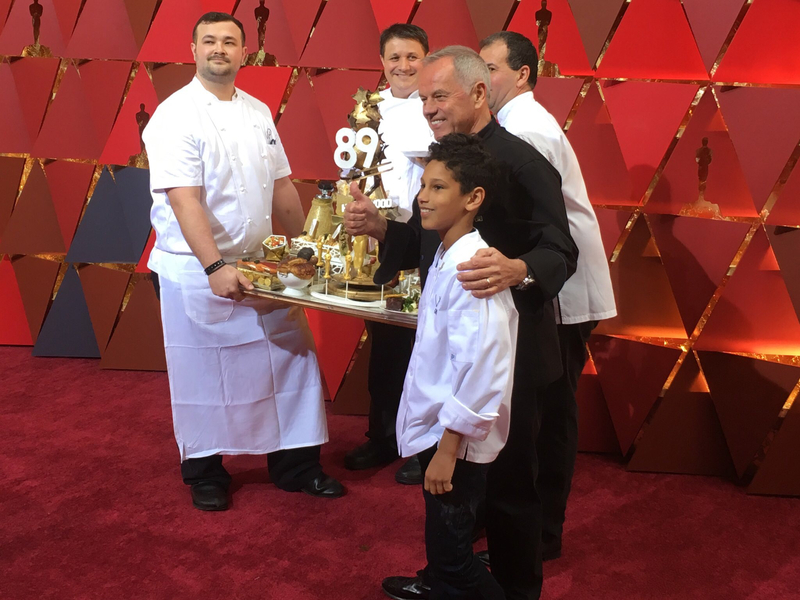 And on a more frivolous note, chef Wolfgang Puck handed out gold-dusted chocolate Oscars that will be served at the Governors Ball, where winners will go to get their Oscars engraved while losers drown their sorrows before heading out to Vanity Fair and other post-parties, including IMDb, Amazon Studios and Lionsgate.